An update to Google's Phone app began rolling out to users earlier today. Besides enabling the seamless video calling feature with Duo, which also works on v14, this update comes with a few additions of its own. 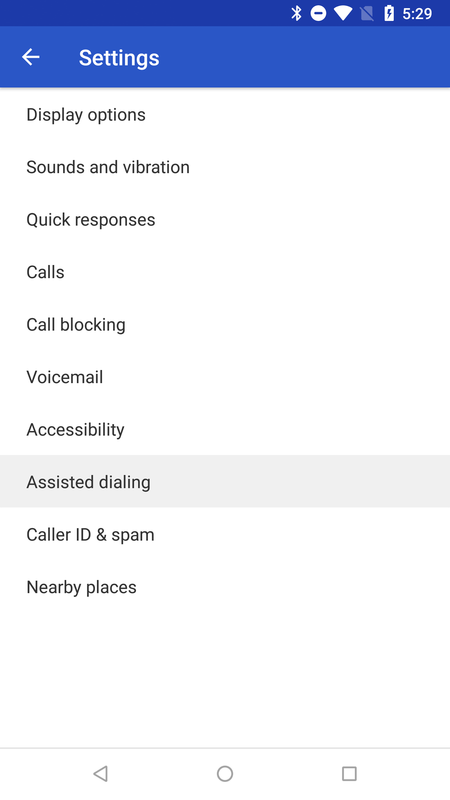 The previously discussed Assisted Dialing feature for international travelers has been enabled and is ready to make life a little easier, and users on Android 8.1 will now see the white navigation bar that's been creeping into a few of Google's apps. 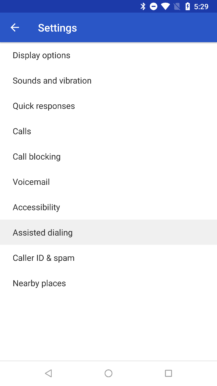 If you're using a dual-SIM phone, you might also be getting the option to pick your SIM immediately before a call, though this might not be live yet. As always, we've got a download link at the bottom if you want to grab the apk right away. 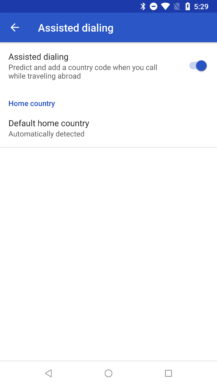 A teardown of last month's update to the Phone app turned up signs of a new assisted dialing feature that promised to fix phone numbers when you're traveling outside of your home country. With version 15, this feature is now live. 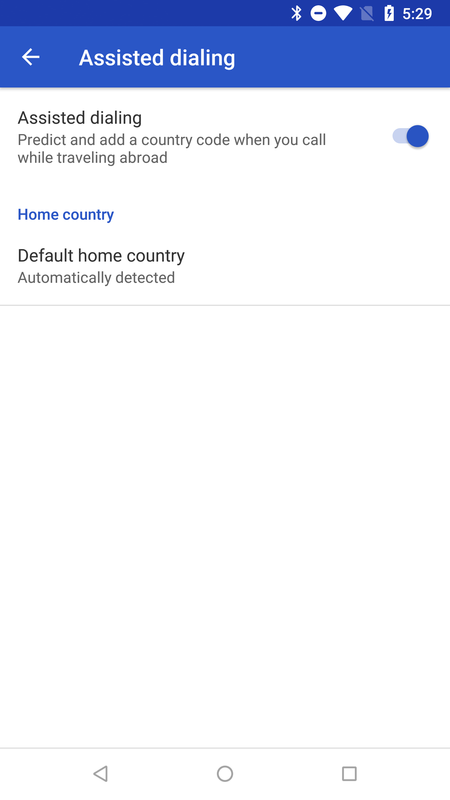 Open the settings screen and you'll find a new area titled Assisted dialing with an option to turn it off–it's enabled by default–and a place where you can specify your home country if it's not automatically recognized by the app. 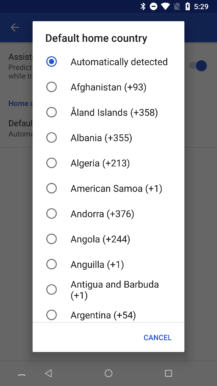 Assisted dialing will now automatically prefix your phone calls with the appropriate country code of your home country if you venture into foreign territory. 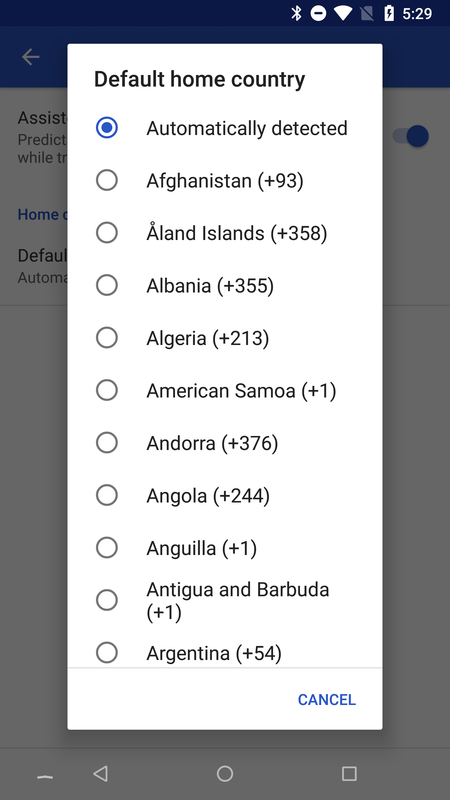 This should save quite a bit of time manually adding the code to all of your phone numbers. 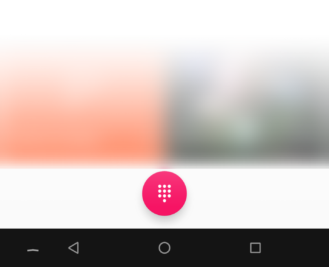 If you're running Android 8.1, you've probably noticed your navigation bar getting not-so-black. As OLED displays are becoming ubiquitous in many new smartphones, screen burn-in and retention issues are again becoming a common story again. Google's solution has been to switch over to an all-white navigation bar so the pixels are abused evenly. This has already happened with Maps, Gmail, Photos, and a few others. Now Google's Phone app joins the trend. If you're running a version of Android below 8.1, you won't see this change. Multi-SIM phones have become a common topic in teardowns lately, and after some clues turned up in last month's teardown of v14, it's no surprise to see that the v15 release has something new to share. This time we're strictly looking at a pre-call interface for choosing which SIM you want to use before making a call. Upon starting a call, the Phone app will prompt users to choose which of their SIMs to use, assuming they have more than one installed. There's an option to remember the selection and hints about which one was used previously. Again, I don't have any dual-SIM phones to test with, so I can't be sure if this is live or not. If you're in a position to test this, let us know in the comments if v15 enables pre-call support for dual-SIM phones.